The sacrament of Infant Baptism enables each of us to welcome your child into the family of God. 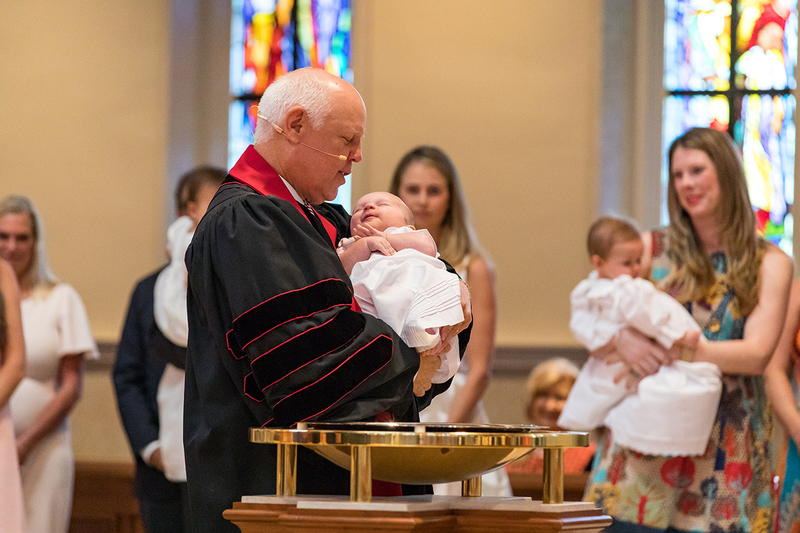 During infant baptism, parents and sponsors affirm God’s promises as well as reaffirm Christian beliefs and commitments. Baptisms are celebrated at both morning worship services and can be scheduled on most Sundays, except for festival worship days. To arrange for your child’s special day, please contact Jane Ogle at 404.240.8241 or janeo@prumc.org.